While I have written several articles in the Avoiding Liability Bulletin dealing with the psychotherapist-patient privilege, I have not yet directly addressed the issue of privilege when a therapist or counselor is treating a couple. The psychotherapist-patient privilege, or a similarly titled privilege, generally belongs to (is held by) the patient, or the guardian or conservator of the patient, which means that he or she may prevent the therapist or counselor from disclosing information (e.g., testifying or providing records pertaining to the treatment of the patient) in a legal proceeding, or may waive the privilege and allow such disclosure. But, what happens with respect to the privilege when a therapist or counselor is treating a couple? Does the privilege exist? If so, who is the holder of the privilege? How will the courts view a claim of privilege by either member of the couple or by both? How should the therapist or counselor respond to a subpoena for records or for the testimony related to either member of the couple? The answers to these questions follow. The importance of the psychotherapist-patient privilege to the mental health professions cannot be over-emphasized. Without the existence of a privilege, a patient’s confidentiality would be jeopardized anytime he or she was involved in a lawsuit or other proceeding – the therapist or counselor’s testimony and treatment records could simply be compelled by subpoena. Legislatures throughout the country have established privileges for only a few special relationships – such as lawyer-client, priest-penitent, physician-patient, and psychotherapist-patient – in order to encourage consumers to obtain such services without the fear that their confidential and highly personal (sometimes embarrassing) information revealed in the course of those relationships might later be revealed in a courtroom. The existence of a privilege generally means that there exists an exception to the general rule of law that provides that no person has a privilege to refuse to be a witness or disclose any matter, or refuse to produce any writing, in specified legal proceedings. Before proceeding further, I must issue my usual caution that state laws vary, sometime in fine nuance, so the reader must determine whether the law in his or her state differs (and if so, how it differs) from what is presented in this article. As stated above, the privilege generally belongs to the patient. It has been my position that if the therapist considers his/her patient to be the couple, then the couple is the holder of the privilege. Some commentators have indicated that the courts do not always agree with that position – that is, they do not recognize that the couple is the holder of the privilege. However, my experience in California indicates otherwise. While a judge may occasionally find that a privilege has been waived, or may erroneously rule that there is no privilege because the court is determined to consider relevant evidence and is willing to risk reversal on appeal, I have found that judges in California do recognize that a couple may be the holder of the privilege. With respect to the questions asked above, it is first important to distinguish between true couple therapy, where the couple has been informed that the couple (as a unit) is the identified patient, and treatment of one patient (the identified patient) with collateral contact with the spouse or partner. I make the assumption that the practitioner involved in the particular state is recognized as being covered by the privilege. It is of course important to determine whether the law in your state recognizes that there may be joint holders of the privilege, and if so, the particular provisions. 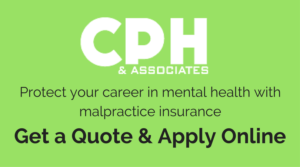 In California, for example, the law specifically recognizes that there may be joint holders of the psychotherapist-patient privilege. More specifically, the law states that where two or more persons are joint holders of the privilege, a waiver of the right of a particular joint holder of the privilege to claim the privilege does not affect the right of another joint holder to claim the privilege. If the law recognizes that there may be joint holders, then it would seem to me that the courts would readily recognize that each of the persons in couple therapy are covered by the privilege – and, that one cannot waive the other’s privilege and that each may claim or assert the privilege. If the state law is silent on the issue, it seems to me quite possible (and reasonable) that a judge could be persuaded to take the same position as above — especially if there is an effective advocate for that position and no law provides otherwise. Perhaps two scenarios would be appropriate at this point. Suppose that a therapist or counselor, covered by the psychotherapist-patient privilege (or similarly titled privilege) is treating a couple – doing couple therapy/counseling. Suppose that one of them, mildly depressed, is suing his surgeon for malpractice, alleging that the negligent surgery performed caused physical injuries and mental or emotional distress. Finally, suppose that the attorney for the defendant- physician subpoenas the records of the therapist or counselor. A different case involves a couple going through a divorce, fighting over custody of their children, who were previously in couple therapy with a practitioner covered by the psychotherapist-patient privilege (or similarly titled privilege). Each of the participants in couple therapy were seen individually for one session – but they each acknowledged in advance that these individual sessions were to be considered as part of the couple work. In the custody proceeding, the husband’s attorney subpoenas the records of the practitioner after the practitioner refuses to release the records upon the signed authorization of only the husband. In the first case, where the allegation is made that the negligent surgery caused mental and emotional distress to the plaintiff, it is likely that a court would rule that the psychotherapist-patient privilege, held by the patient, was waived (given up) by the plaintiff because he put into issue (he tendered) in the lawsuit his emotional and mental condition. The law would not allow him to attempt to prove that such harm was caused to him without allowing the surgeon (defendant) the opportunity to prove otherwise. The records and the testimony of the therapist may be relevant to the lawsuit and helpful to the plaintiff or the defendant, depending upon the circumstances. For example, perhaps the plaintiff mentioned the botched surgery on several occasions and that several sessions addressed some of the psychological effects of the surgery. The plaintiff may have also sought help from his own psychotherapist, who had several conversations with the couple’s therapist – documented in the couple’s treatment records. The couple’s therapist, however, upon receiving the subpoena, would typically assert the privilege, release nothing, and immediately contact the patient who is suing and the patient’s attorney. The practitioner would raise the issue of the partner’s privacy and the fact that the privilege is held by the patient – that is, the couple – and that one cannot waive for the other (assuming that state law and professional ethics would support or allow this position). The solution for the attorney for the plaintiff would be to either obtain the permission of the plaintiff’s partner to waive the privilege, or to seek a protective order of some kind so that only information pertaining to the plaintiff is revealed. Courts are able and willing to accommodate this kind of request, and will even be willing to allow the practitioner to redact, write a summary, or otherwise protect the privacy of the non-litigant partner. With respect to the second case, the practitioner would typically and initially assert the privilege on behalf of the couple. Ultimately, the attorneys for the husband and wife would discuss the issue (arguing their own views based upon what’s good for the particular client) and come to some agreement – or they will litigate the issue. An interesting question in custody battles is whether or not a party puts his or her mental or emotional condition into issue by filing for sole custody of a child – and thereby waives the privilege. We need not decide that question here. Consistent with state law and with avoiding a contempt citation, the practitioner will want to create a record of resistance to disclosure unless or until both parties agree or the court issues an order deciding the claims of privilege or waiver. Practitioners typically do not get into trouble for resisting in good faith. On the issue of the individual sessions, it would be my argument, and I would hope the court’s ruling, that these sessions should be treated like the conjoint sessions – they were part of the ongoing couple therapy or counseling. I would argue that the privilege belongs to the couple – even with respect to the individual sessions. Communications made in the individual sessions would likely involve material and issues that were discussed in the conjoint sessions. One holder of the privilege cannot waive for the other. The clarity of the practitioner’s disclosures regarding how these sessions are to be viewed, as well as the clarity of the patient acknowledgements should, in my view, be persuasive to the court – unless the law of the state does not allow for such a conclusion.